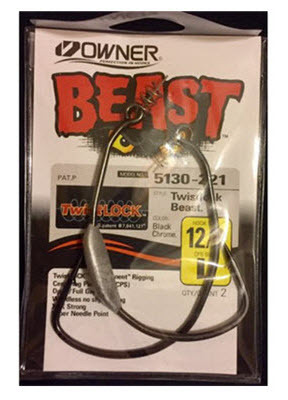 Beast Hooks with TwistLOCK® Centering-Pin Spring (CPS) are designed for weedless-style rigging of larger plastics like big swimbaits, flukes, tubes and creature baits. 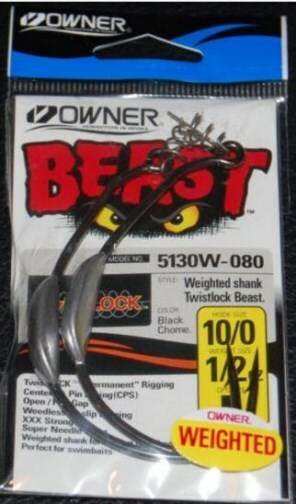 With its TwistLOCK® Centering-Pin Spring (CPS - patent pending) attached to the hook eye, baits can be permanently secured by inserting the pin in the center of the nose of a soft plastic, which can then be screwed onto the TwistLOCK® coil spring to rig perfect everytime! 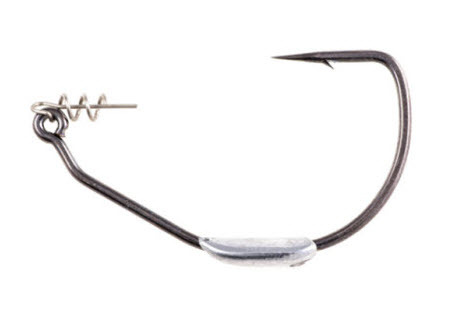 Different Size springs are matched to hook size to maximize holding power. 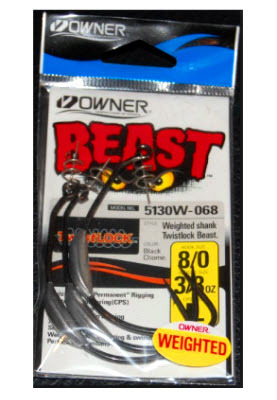 Quick-drop shank below eye allows for rigging fat-headed baits, and maximum gap allows for improved hook sets because of better bait clearance. 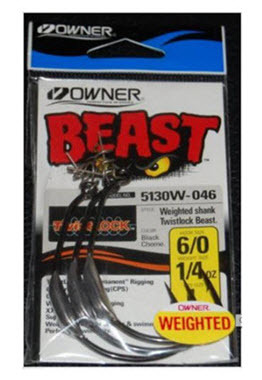 The non-movable weight attached (5130W) not only helps to sink or swim a rigged bait down into the strike zone, but because the weight is positioned so low on the shank, it provides a keel effect. 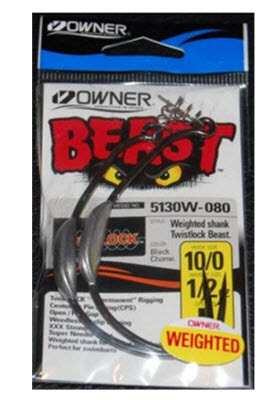 As a result, when rigging large swimbaits weedless-style, plastics swim naturally (as opposed to rolling or flipping where weights are inserted inside soft baits).